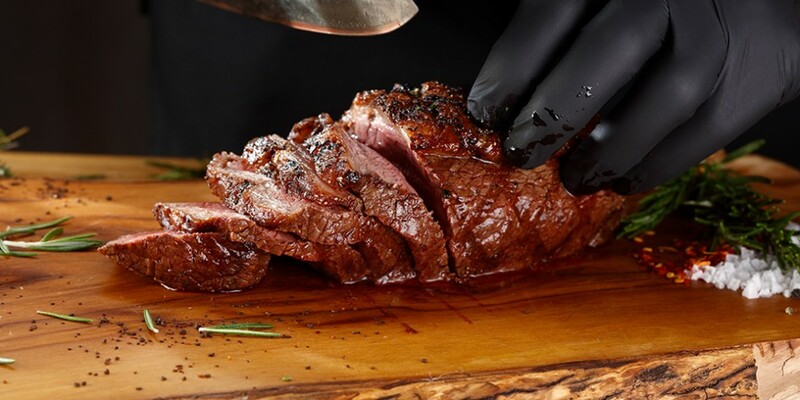 Picanha is the favorite steak of Brazil. People love its rich taste and particular juiciness which it acquires in the process of roasting thanks to a layer of flavorful and sweet fat. In Latin America they cook picanha over an open fire, cutting it into large pieces. And in Butcher steak houses it will be cut for you by the Chef himself! 420 gr. - 2500 rub.